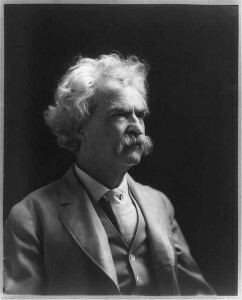 “In this Autobiography I shall keep in mind that I am speaking from the grave….I speak from the grave rather than with my living tongue, for good reason: I can speak thence freely”, Mark Twain writes in the preface to his autobiography. He spent his last years writing his life and times, but left instructions that the complete edition not be published until at least 100 years after his death. 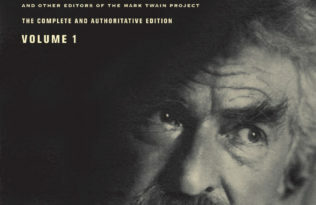 2010 marks this centennial, and this year UC Press and the Mark Twain Project will publish the authoritative Mark Twain’s Autobiography, arranged the way Twain intended. While parts of the work have been published before, the rest will appear for the first time ever, a literary time capsule. 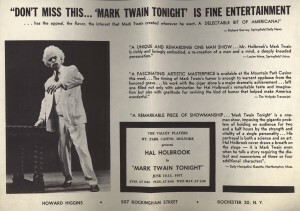 On NPR’s Fresh Air recently, the actor Hal Holbrook, who has performed his one-man Mark Twain show, Mark Twain Tonight, for over 50 years, remarked on Twain’s timeless ability to captivate. “He never has ceased to astound me,” he said, and paraphrased a section from Twain’s What is Man? and Other Essays, that touches on corruption and economic crisis—words that could as easily have been spoken this morning as 100 years ago. That Twain can speak to our lives today, in a time he never saw, reaffirms the importance of preserving his work. His words still resonate, not as echoes from a century long past, but as wisdom for the ages. See this and much more at www.thisismarktwain.com.